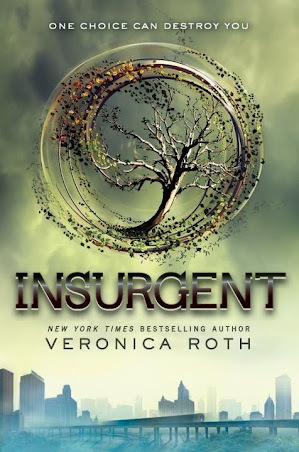 Insurgent [Book Review] – my books. my life. NOTE: This review is free of Insurgent spoilers, but assumes you’ve read Divergent. Insurgent picks up right where Divergent left off. With Abnegation wiped out and half of Dauntless teamed up with Erudite, the rest of the factions must decide how to respond, and Four and Tris don’t necessarily agree. As more information comes out about the Divergent, their lives are in even greater danger. Fast-paced like its predecessor, Insurgent is hard to put down. Insurgent is one action-packed scene after another but never becomes overwhelming. That is my favorite aspect of this series. Tris continues to develop and remains one of my favorite heroines of late (she could be a bit more honest – but she isn’t Candor I guess). She’s been through a lot and continues to be challenged. And since we’ve left the Dauntless compound, we get to know some of the other characters a little better. I don’t really have a lot to say. Just that Insurgent was one of my most anticipated books of the year. And it didn’t let me down. I almost picked up Divergent the other day, but went with The Reckoning instead. Safe to say that I will be reading this series very soon though, so I am glad that you loved it!